ATCOM install at Greenville Utilities is a success! ATCOM welcomes Greenville Utilities to the family. We would like to give a shout out to the ATCOM team that handled this installation. We would also like to thank the entire behind the scenes teamwork it took to pull it off so gracefully. 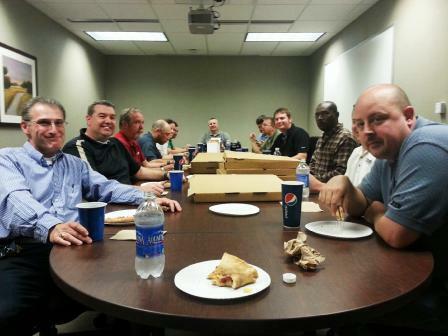 Don’t let these pictures of pizza parties and all the free coffee you could drink fool you, ATCOM and Greenville Utilities worked hand in hand to pull off a great installation of over 400 phones. We would like to give a big thank you to Tony Godwin and Greenville Utilities for entrusting ATCOM for this mission critical project. 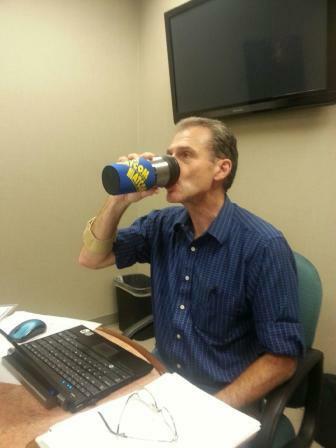 Here is a picture of Tony sporting his ATCOM koozie. If you would like to learn more about why our Project Management and Engineering team is second to none contact us today.